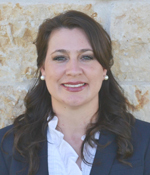 PHARR, TX - Hot off the heels of a successful PMA Fresh Summit, London Fruit is adding to its sales team; the company has hired Tonya Hill as its new Retail Development Manager in Sales. Hill brings over fifteen years of produce experience to the company. Hill recently served as the Texas Regional Manager for New Jersey-based Amazon Produce Network—helping the company grow programs for mangos, limes, and tropical produce categories. In addition to that Regional Managerial role, she also served in previous roles as Director of Sales and Transportation, Category Manager, and Director of New Customer Development. Jerry Garcia, VP of London Fruit, said he’s excited to have Tonya join the London team. “Her experience will greatly add to the strength and depth at London,” he added. Hill, a native of Texas, began her career in the field of accounting, after attending Texas A&M University. When she’s not selling produce, she and her husband run their family farm and a registered cattle business. We at AndNowUKnow congratulate Tonya on her exciting new role and wish her and London Fruit the very best in all their future endeavors.